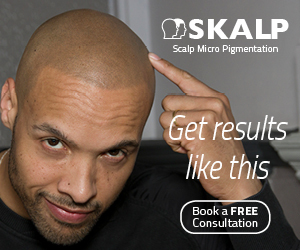 The Scalp Micropigmentation Center in Toronto is well established with an outstanding reputation, hard-earned the right way. We have been following their story since they first opened their doors and theirs has been a story of success built on hard work and commitment to their clients’ outcomes. Tino Barbone, the passionate founder of the business, is unquestionably an asset to the SMP industry. Having decided on setting up his own clinic he went about it in the right way and sought training with one of the established clinics… of which there only a handful at the time. On completing the first training course, which left him underwhelmed and in his view unready, he would go on to train with two more clinics, as well as taking related courses he thought might add value. This methodical approach stood him in good stead and when he did eventually open his doors to the public the business grew steadily. Fast forward to now and The Scalp MicroPigmentation Center has developed a reputation into one that spans continents and has seen it become a go-to venue for training in SMP. 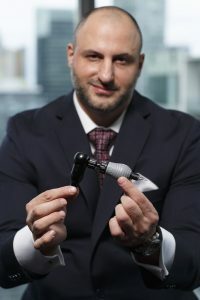 In addition to the regular suite of SMP services, camouflaging hair loss and scars or providing density, Tino’s appetite for innovation is on offer… using micro-blading techniques to add the appearance of baby hairs to enhance a Scalp Micropigmentation. TSMC’s clinic meets or exceeds the exacting standards of Health Canada on disinfection and sanitation and provides a clean and sterile environment for their clients. They use custom made needles and their pigment is completely safe, carbon-based and in use by them for nearly four years without a single allergic reaction. Tino’s own experience of trying to get good training meant he was always destined to establish his own academy. This has developed into a world renowned operation attracting students from around the globe, best evidenced by the successful students who are now operating their own clinics in the USA, Mexico, the UK and Australia. On offer is in-person training, either at your location or at the Toronto clinic, in classes of not more than three people. They combine this with a fully fledged support package of direct contact along with a suite of online services – all supported by a lively Facebook page dedicated to students and former students, not just as a place to ask for help and advice but to post their before and after pictures for peer review, watch the latest videos and generally keep their skills up-to date. We greatly admire TSMC’s use of the internet, they set the bar nice and high in terms of standards of professionalism in this area. Along with a robust suite of applications available to his students and former students, Tino also runs the Scalp Micropigmentation Professionals page on Facebook, where 800 fellow professionals come together to share experiences and knowledge. Like we said at the start, Tino and his business are an asset to the industry and well worth putting on your list for a consultation.